In my 2015 SEO trend predictions, I mentioned that content marketing will be bigger than ever this year due to the fact that search engines are continuously on the lookout for quality content, using this as an important factor in determining whether a certain page is relevant to the user’s search query or not. If you plan to start or even level up your content marketing plans and strategies this year, here are some effective ways to do so. Infographics or information graphics are graphical representations of data or information arranged creatively in order to capture the readers’ attention. Many companies are starting to use infographics to attract potential customers and capture leads. Additionally, they are very shareable, helping you spread your content to hundreds or thousands of users. Embedding video in your content can significantly help you attract more readers for a couple of reasons: (1) consumers love watching online videos, and (2) creating a video these days are becoming easier. With these in mind, it would be wise to start producing videos early and often this year. Web users are constantly searching for online guides about various topics under the sun – how to change a flat tire, how to bake a cheesecake, how to properly store breast milk, and so on. If you want people to land on your website, be sure to create content according to popularly searched advice and instructions. After creating interesting content with graphics, videos, or useful information, your next goal is how to share such content on the web. To do this, include social media share buttons and make sure to ask your readers to post the link of your content on their corresponding social networking accounts. 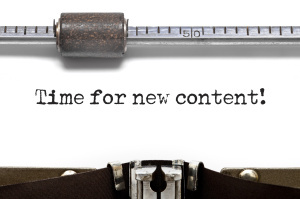 How do you plan to level up your content marketing strategies this year?